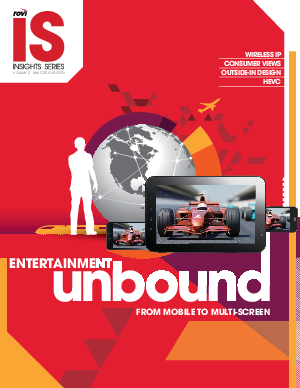 For Mobile World Congress 2013, we’re excited to share our insights into the mobile entertainment opportunities and challenges each segment faces. One of the key themes in this edition is “outside-in development,” an approach to product design in which mobile devices drive the personalization and interactivity features that, today, reside on the TV. We also cover recently approved High Efficiency Video Coding (HEVC), a new video compression standard that is expected to significantly improve streaming quality without sacrificing bandwidth.